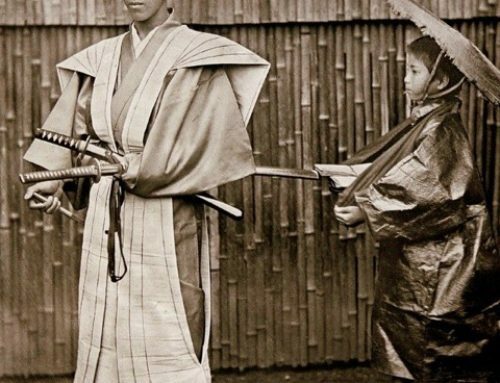 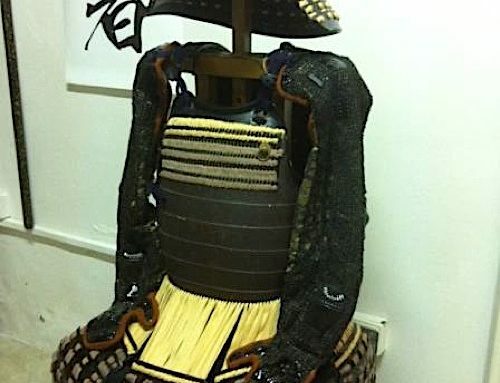 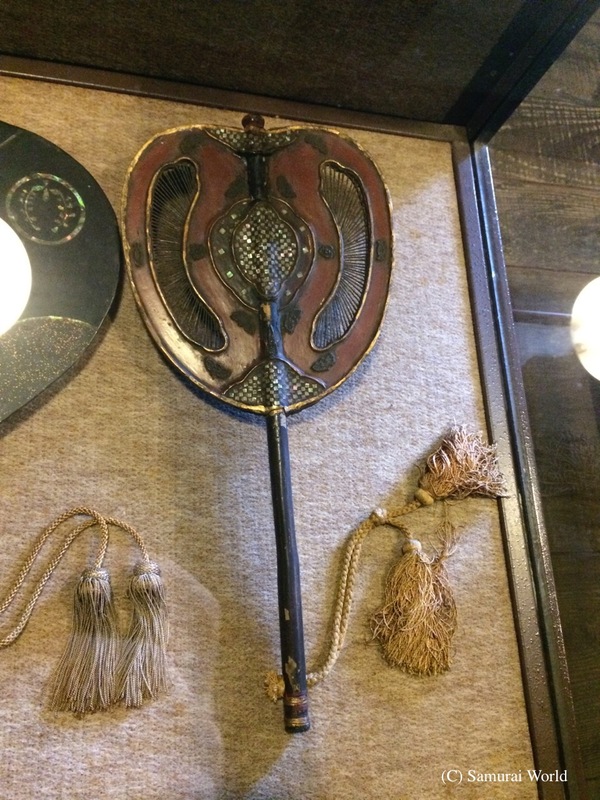 Gunbai, also known as a Gunbai-uchiwa, were a war fan like device used by samurai commanders to direct troops during battle maneuvers, and as a symbol of rank. Gunbai were of various size and shape, and made from either plain or lacquered wood, with or without metal decorative fittings, or solid metal. 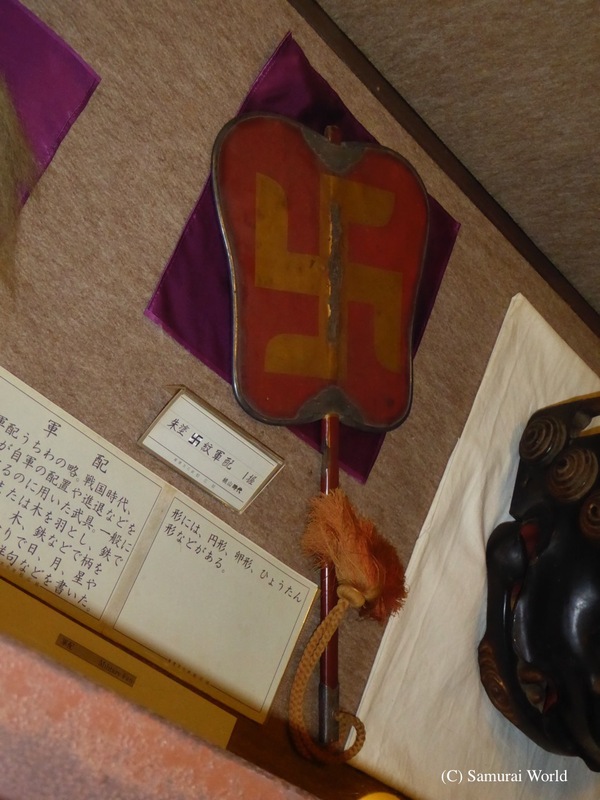 Often they would be decorated with symbols such as family crests or slogans, or invocations to the various gods. 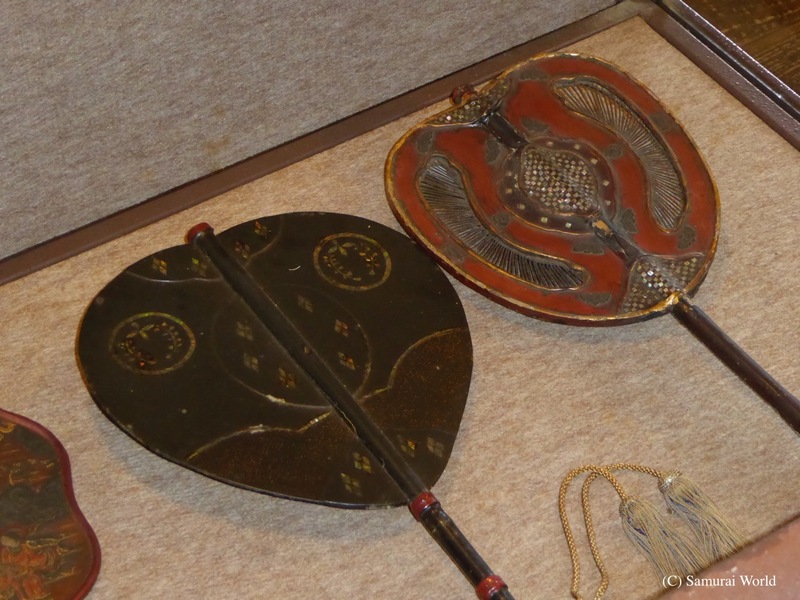 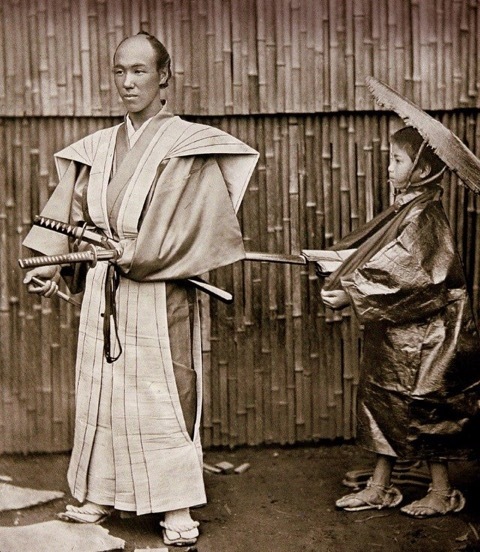 The Gunbai used by the tactician Kuroda Kanbei even featured a compass set inside the wooden handle. 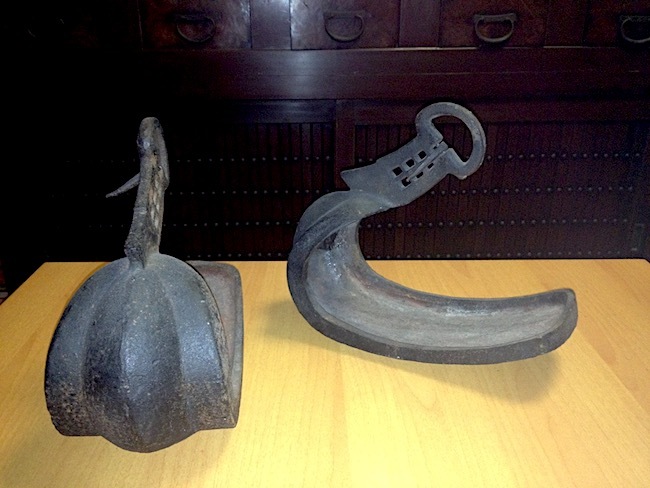 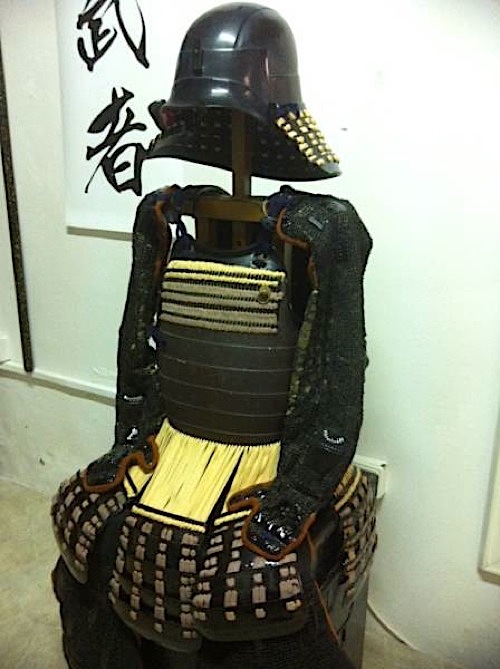 Another whip-like kind of signaling device was known as a Saihai. 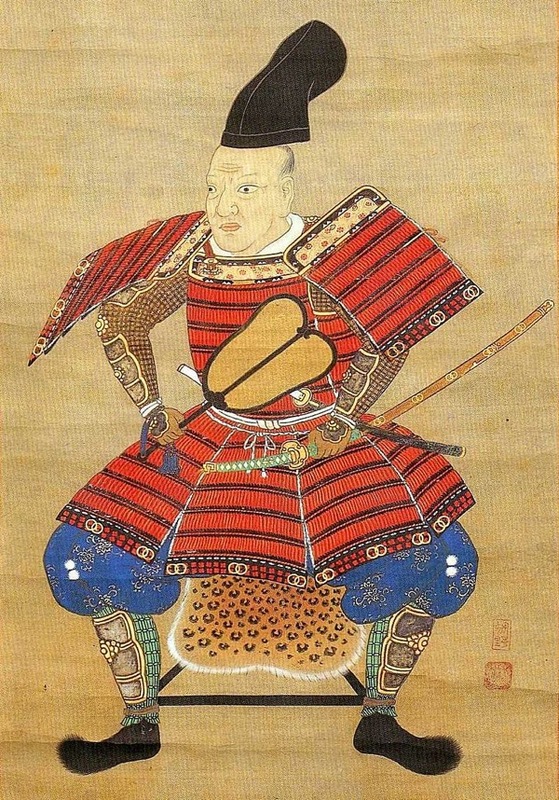 In modern day Sumo wrestling, the Gyoji, or referee holds and uses a Gunbai when announcing the matches’ outcome.